I'm a professional photographer living in Slovenia, a place that is a paradise for landscape photographers, but it can be also a nightmare if you want to make a living as a fine art photographer. Although as a professional photographer I make a living foremost with digital photography, my heart is with handcrafted analogue photography. 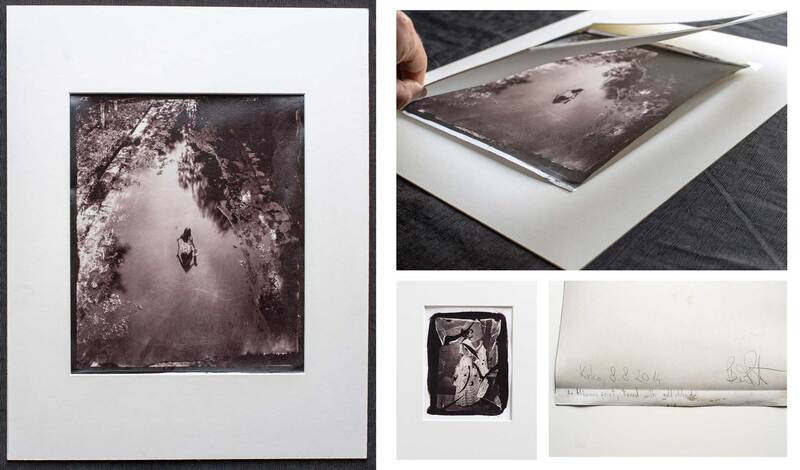 I've specialised in wet plate collodion process and other 19th Century techniques. WHY? Because it's much better! Photography from 19th Century is a slow process and it's not appropriate for sport photography or ornithology or space photography, but if you are interested in landscape and portrait photography, then 19th Century photography is by far superior medium in comparison to digital photography! The best digital cameras have a resolution of 100M pixels. I do not know how many trillion molecules of silver are on my glass plates, but that's the resolution and tonality of every single glass negative I make. And this is what I do. I'm sharing my knowledge and raising an awareness that there is another way how to do photography. That you do not have to listen to all the advertisers, that you can build a camera for yourself and you do not need the latest model of digital camera. I'm advocating that you can do photography with your hands, you can make unique pieces of art, you can write your own rules what a good photography is. Topshit rules of photography! I'm organising a photo-safaris in my woods, where we make photography without electricity. We find a spring of water, filter that water, set up a mobile darkroom and make photographs there, in the middle of nowhere in the centre of everything! So my wish is that with your support, I could devote more time for my videos and go deeper into exciting stories how the pioneers of photography created masterpieces that are benchmarks even today. Thank you! I'm building this campaign on the conviction that there are many people out there who share the same passion, so $1 is very important! You will have an access to patreon page, where I will be publishing details from the shoot, from chemistry formulas, process details to the insight on my equipment from dark box to view camera and lenses. Please leave comments, suggestions and questions. THREE SURPRISE PACKAGES per year! If you wan to learn this kind of photography, you need to take a workshop and I offer those too (LINK). Unfortunately I can not teach you the whole process by google hangouts, but if you already started I can offer you an excellent evaluation on the process and if there is some room for improvement. If you want to learn wet plate collodion negative process it's important too have one good glass negative and a good salt print in hand. Every second month a surprise package with an unique artwork like limited edition handmade matted print 10x12" print (carbon print, salt print, albumen print,...), one of a kind ambrotype in a box, art books, art zines, T-shirts, DVD and more. Once a year an individual three day workshop on the topic by your choice. Once a year a portrait of you in wet plate collodion process (in my corner of the world). Or if you can't make it to my corner of the world, the reward can be treated as a gift to someone you love and can make it to my corner of the world! Unfortunately we were not created equal, we do not share the same circumstances, but in this context there is a positive discrimination for someone like me from deep down behind The Iron Curtain. I do not have such a huge living expenses as I had when I studied in London. Sure I have kids, but as my grandmother said, eating every day will just spoil your child! Sorry that was plain Bosnian humour in action, I can't resist. But seriously, this amount of money will be enough to hire an assistant and focus on the content and just supervise the production of the video. On top of that 10% of the money will be distributed back to other patreon creators that I support.